When I had my hair transplant stitches removed last week, I asked the doctor when I could start wearing wigs again. After all he had said hats were okay, so I figured wigs would be the same. Wigs are really just specialized hats right? But, he said that I should avoid wigs for extended wear, like "seven or eight hours." My first thought upon hearing that was "so not at work." This made me a little nervous. See, for years I've worn wigs and since I came out full time I've worn them almost every day for work. 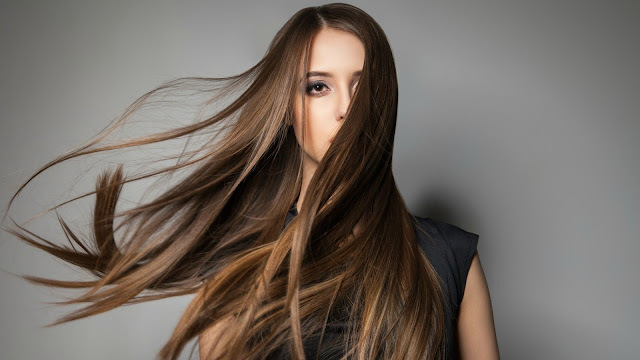 Wigs, itchy and annoying though they are, can be seriously helpful in passing. Sure, there have been plenty of occasions where I wear a pony tail with a headband to hide my hairline, but with my new hair growing in, that will no longer work. So, for the next eight months or longer (until my natural hair looks normal), it looks like I'll be wearing hats to work every day. So you think I'd be super happy about that right? I mean, I've written countless times about how much I hate wigs. After I get home the first thing I usually do is take the wig off as quickly as possible. I can't wait to take them off. It feels so nice. Getting rid of wigs forever must feel equally nice right? But the other day at work I was looking at myself in the bathroom mirror and felt a little depressed. I had been so used to how my wigs looked that seeing myself without them made me feel ugly. It made me feel like a gross, ugly, dude. And I found myself actually wishing that I could wear a wig. Over the years I have gotten so used to having perfect shampoo commercial hair thanks to wigs, that it's going to take me some time to get used to my own natural hair. Having great hair makes me feel confident that I pass and that I'm pretty and feminine. Seeing my own light brown natural hair hang down scraggly at my shoulders strips my confidence away. It's going to take some getting used to. But, as others have said, transition is a marathon not a sprint. And transition requires patience above all else. 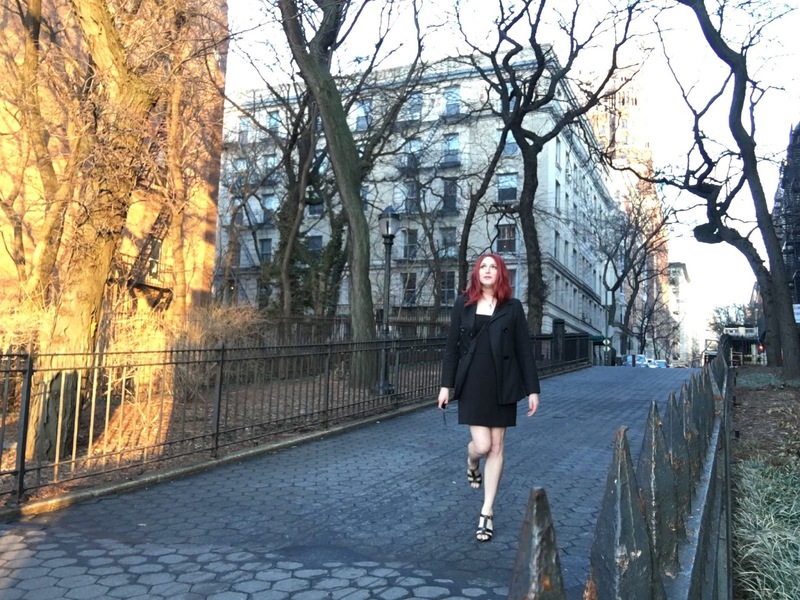 On a good note though, we had a 78F day here in New York recently (in February!). I went out to take a long walk at lunch and it felt wonderful to feel the warmth and breeze. And I realized that the wind wasn't bothering me at all! Wind used to be the worst because it can wreck wigs and make them look terrible. Now, though I don't have shampoo commercial hair, I am no longer bothered by the wind. So that's a big plus. And I can always wear a wig and be pretty as hell for special occasions. Guess I better think up some special occasions to go out and celebrate. Gender Rebels Podcast: So What's Hair Transplant Surgery Like? This week I was so excited to be interviewed for the latest edition of transgender author Dharma Kellher's Readers Club newsletter! Check it out here. I discovered Faith DaBrooke a few month ago when I started listening to The Gender Rebels, a podcast that she produces with her partner Kathleen. According to their website, "The Gender Rebels is a fun, informative weekly question-and-answer podcast that explores life outside the gender binary." 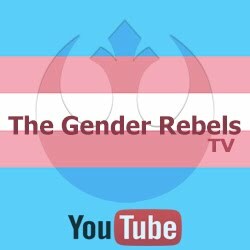 I listen to a LOT of podcasts that deal with being transgender and other related issues and The Gender Rebels is by far one of the best, both in terms of the discussions and the production quality. Dharma: What led you to start The Gender Rebels podcast? Faith: My partner Kath is a veteran podcaster and she spent years producing a couple different ones including But I Digress and ABC Gotham. As we were both creative people we often discussed the idea of a creative project we could share. Our first foray into podcasts was one called Fool Me Once about tricks, scams, hustles, woo, and frauds. We did a couple episodes, but as a new podcaster I couldn't quite find the balance between scripted prepared information and natural impromptu conversation. We've shared those episodes with our patrons, but Fool Me Once quickly fizzled. So, we began discussing other topics, eventually settling on transgender issues. It was something that I knew a great deal about from life experience and from years of research, and having my cis [non-transgender] partner Kath ask questions was natural. The result is The Gender Rebels. It's been amazing to see the responses we get and the stories we hear from people. We've made new friends via the podcast and it feels almost like a community. It's been great. Dharma: How did you get into writing? Faith: Writing is something I've done pretty much my entire life. There have always been amazing stories and adventures happening in my head. There has never been a lack of inspiration or a time when I didn't have multiple story ideas running through my head. My writings have obviously progressed from the short stories ten or twelve year old me wrote to actual adult screenplays and novels. But the writing bug has always been there. Dharma: Tell us about American Transgirl and what motivated you to write this story? Faith: American Transgirl is the story of Matt, a kid growing up in suburban Georgia in the 90s. Not only does he deal with gender dysphoria, but he also tries to navigate life at a new school, friends, and crushes on girls. When he meets a new friend, Michelle, he's able to come out of his shell more and the two begin hitting up the local gay bars where Matt can show off his new persona Sarah. Later, when Matt moves to NYC, he finds the freedom to begin expressing his feminine side more and eventually comes to terms with the fact that he is and always has been transgender. 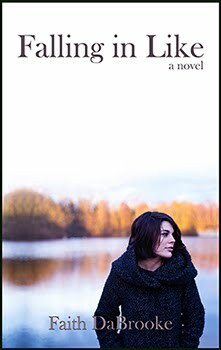 Things get more complicated when she comes out as Sarah and falls for Erin, a struggling artist and lesbian. It's about figuring out who you are, finding love, and finding your home in this world. The novel actually came into this world first as a short story about a crossdresser coming out to a friend. At the time I was writing it, I was thinking of writing a memoir and decided to combine the two ideas into a single novel. Dharma: How are you and the main character similar and how are you different? Faith: As I mentioned, a lot of memoir ended up in the novel. But the character ultimately isn't me. For one thing, I wrote Sarah as non-creative specifically to contrast her with Erin. Plus I've never been a barista, though I have had plenty of low paying jobs in my time. Dharma: What were some of the challenges you faced in writing this story? Faith: There were two big challenges in completing the novel. Firstly, I wasn't quite sure how to structure the story. It's told in three books (high school, life in NYC, a romance with Erin), but I didn't really know if it should be structured chronologically, or maybe alternate between past and present. Ultimately, I decided that Erin needed to be introduced early which is why the story starts starts at the end before zooming back in time to the beginning. The other major challenge was making sure that Erin was written authentically. I'm a trans lesbian, but Erin is a cis lesbian and so I was writing a character without having experienced what life as a cis lesbian is like. Ultimately, I went back and added a couple new chapters during the third or fourth draft to flesh out her character a little more. That made me much happier with the character, though I still worried that cis lesbians might think her unrealistic. Dharma: What surprised you about writing this story? Faith: That I was able to fall in love with certain characters. I won't say which, but I had to stop myself from writing extra scenes including them. I would have loved to indulge so I could have more of those characters, but ultimately that detracts from the story. Some characters are meant to be spices and not a main dish. Dharma: Are you writing a sequel or another story? What other projects are you working on? 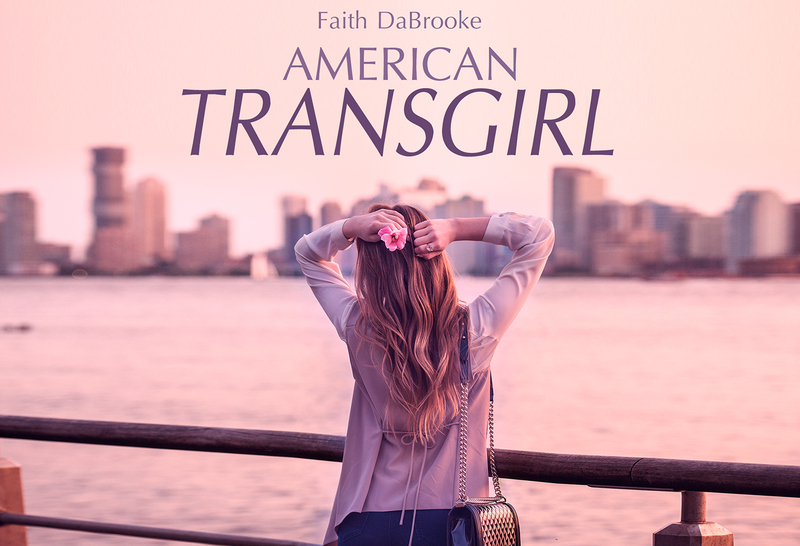 Faith: There's no sequel to American Transgirl. Highly, highly astute readers of this and my other novel, Falling in Like, will be able to figure out that there is a connection between the two. It's subtle, but they're in the same world. Really it's because they're both similar in tone; funny, bittersweet, introspective first person narratives about finding your own place in the world and learning to be comfortable in it. At some point I will probably write a third book in that loose "trilogy," but not a direct sequel. In fact, after two introspective stories, I decided to take a writers' holiday. Right now I'm about a third of the way through my next book, which is a fun YA pulp science fiction adventure book. It's full of space pirates, alien artifacts, starships, gangsters and other good stuff. Dharma: What are your thoughts on the growing number of trans-inclusive novels. Are they helping or hurting the trans community? Faith: At the library i picked up the YA novel Dreadnought by April Daniels. 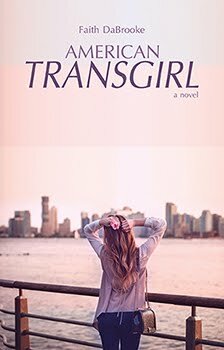 I thought it was just a book about a female superhero and I was delighted to see that it actually had a transgender protagonist. That was a great surprise and it was a really fun book. I'd love for more people to be surprised like that. Dharma: How do you feel about cisgender people writing novels about transgender main characters? Faith: As I mentioned above, I was nervous writing a cis lesbian character for fear that she would be inauthentic or worse that she would offend actual cis lesbians. Writing a character of color or a disabled character would make me equally nervous. And I would hope any cis author writing a transgender character is equally as nervous. Certainly I would hate to try and claim that trans characters are off limits to cis authors. To me that's a ludicrous idea. But I would want any cis author doing their homework before they put a trans character to paper. I would also like them to maybe run it by a real transgender person before they make it public. I'd volunteer to be that person. Trans people are ultimately people, and whether created by a trans or a cis author the goal should be a well rounded, realistic character and not a stereotype. Dharma: How receptive do you feel cisgender readers are to reading trans-inclusive fiction? Faith: Hopefully they are. I'd like to think they are. And I'd like to see th e day when trans-inclusive stories can feature transgender characters where being trans is not a central plot point. Obviously I'm guilty of breaking this rule myself, but I think once trans characters are just there and normal, we'll start to see more cisgender readers. Dharma: What do you hope to accomplish with your writing and with your podcasting? Faith: Mostly it's just to have fun. Honestly, I don't approach any of my creative works with an agenda. But regardless of my intent, it's been amazing to hear from people who have enjoyed both and even found them meaningful and helpful in their own lives. That's not something we set out to do, but it's a wonderful byproduct. Dharma: What advice do you have for trans people thinking about getting into writing? Faith: Write! Write! Write! Just get it down on paper. Don't take a class, don't join a group, don't read a book about writing, don't tell your friends about it, just sit down and write. So many people have ideas but never take the time to actually write it out. Don't worry about getting it perfect. You can always edit later. Also, writing means sharing your deepest emotions. You have to be willing to put yourself out there, to share your soul with the world. My advice would be to not run away from that but to embrace it. Writing should make you a little afraid. But that's good. Dharma: Speaking of deepest emotions, you really capture Matt/Sarah's fear and insecurities, especially on that first date early in the story? How difficult was it to write? Faith: That's the wearing your heart on your sleeve that writers have to do. Though I didn't realize it until recently, when I diagnosed with anxiety issues, but it was astounding for me to realize that not everyone spends most of their time worrying about worst case scenarios. So, because of that I often find it easy to express my insecurities and fears through writing. One of my favorite statements about the writing process comes from Jack Kerouac who said "I have nothing to offer anyone but my own confusion." That's something that I've taken to heart and it's one of the reasons that I enjoy being creative so much. When you hear that song about heartbreak it means something to know that you're not the only person who has ever experienced heartbreak. It's the same with literature. Authors share themselves so that other people can know they're not alone. It's my hope that someone can read something I've written and see my emotions laid bare and know that someone else has felt the way that they've felt and been through what they're going through. Dharma: Where can people find you and your work on the web? 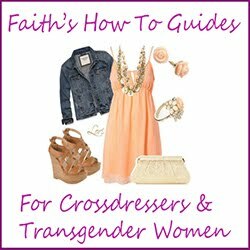 Faith: People can find me at faithdabrooke.com and The Gender Rebels at genderrebels.com. 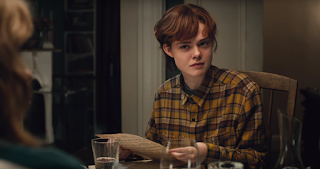 3 Generations tells the story of Ray (Dakota Fanning), a sixteen year old transgender man living with his mother (Naomi Watts) and grandmother (Susan Sarandon) in New York City. Despite presenting and living his life as a male, Ray longs to start hormone replacement therapy so that he can truly be who he is. Unfortunately for Ray, the doctor won't prescribe HRT without both parents' approval. In order to get his father's signature on the form, Ray seeks out the dad who has abandoned him and his mother to start a new life with a new family. As the story unfolds, we get a long look at Ray's everyday life. In this the film presents a fairly realistic depiction of gender dysphoria. We see Ray wishing, longing for the time when he can really live as his true self. He feels the need to fit in and pass. And he loves the idea of people who will only ever know the real him. We are also shown Ray struggle with bullying and violence, both serious issues facing transgender people in the real world. It was also interesting to see the parent's point of view. In the film, we see a mom that is trying to both cope with her new son's reality while simultaneously mourning her daughter. When I transitioned, it was surprising to me that cis people in my life felt like they were both losing and gaining a person in their life. In my mind I would always be the same person. 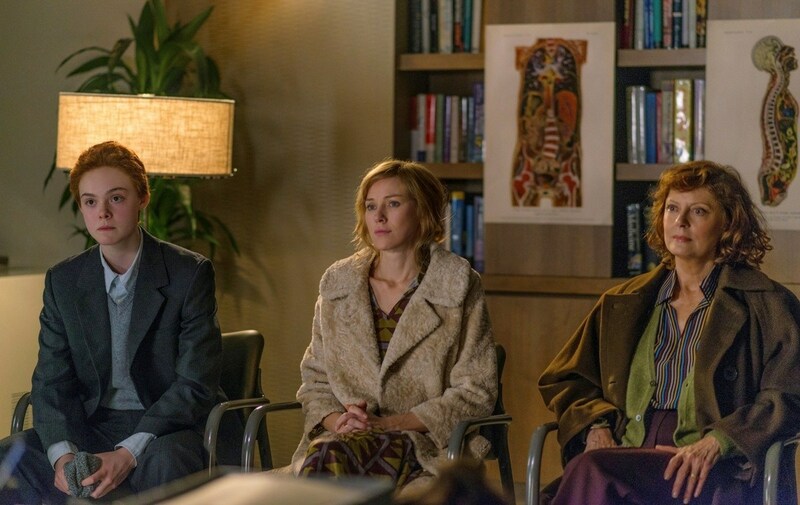 Still, the mother in 3 Generations is supportive, loving and it's realistic to show that she is able to be supporting and loving while still struggling with the idea of her child's transition. 3 Generation's Ray is one of the most realistic depictions of a transgender character I've yet seen in media. His strong desire to start HRT so that he can live as his true self is handled well and easily relatable for any transgender viewer. The depiction of his dysphoria is quite well done and I couldn't help but smile when (spoiler alert) he is finally able to start HRT and celebrates the important milestone with his family. Unfortunately, the entire plot hinges on the idea that a kid in New York City is only able to get on hormones if both parents consent. This is an issue in 3 Generations because Ray's father is not in contact with him. In fact the father has moved on and is living in another town with a new family. This felt rather contrived and ridiculous as there are plenty of single parents with sole custody. For some reason the idea of going to another doctor is never brought up so that Ray is forced into a confrontation with his absent father. It felt highly contrived and these characters deserved a more realistic and natural plot. Another issue that I had with the film was the grandmother character. She's a lesbian living with her partner in the East Village yet when it comes to transgender people she's downright hostile. Now, I get that some older people are not quite hip with the times, but they literally created a Blue State liberal stereotype of a character then make her act in a way that makes no sense for her background and surroundings. It would have made more sense to have her be straight or to perhaps set the film in another city if the filmmakers wanted that hostility to part of the script. It would have made more sense. Also, I should say that I am a fan of Dakota Fanning. I especially liked her in Neon Demon where she turned in an amazingly textured performance. So, I was disappointed that she didn't commit to the role by cutting her hair or growing out her brows. Throughout the movie she has perfectly plucked and shaped brows along with a terrible looking short hair wig. It doesn't affect the overall movie but I was disappointed in the actress's choice. And of course that's a separate issue from the possibility of the filmmakers casting an actual transgender man in the role. But that's a whole other discussion. Ultimately 3 Generations presents some remarkably realistic elements of transgender life, but it's a dull movie with a contrived plot and some unlikable characters. The screenplay could have used another couple of drafts and they could have hired a transgender man to play Ray. But the character of Ray is well-written and realistically portrayed. It's just a shame that he couldn't have been in a better movie.